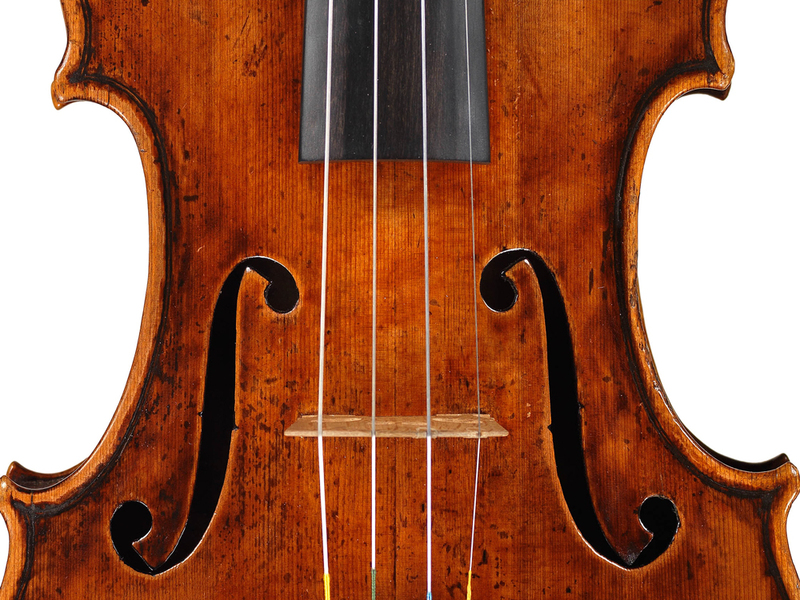 Played By Violinists, Bought By Billionaires : The Record A centuries-old violin is selling for $18 million -- not exactly affordable to the musicians able to play it. Some argue that the instrument and its heavenly sound should not be locked in a case. Jeff Fushi, a dealer of rare violins in Chicago, is selling what he calls the Mona Lisa of violins on behalf of a London banker. The 269-year-old Vieuxtemps Guarneri del Jesu is not just one of the oldest instruments ever to go on sale, but also the most expensive -- it's on the market for $18 million. Courtesy of Bein & Fushi Inc. The owner of the Vieuxtemps Guarneri del Jesu says he hopes to sell the violin for $18 million -- easily affordable for billionaires, but not musicians. "I’ve heard all the greatest violins," Fushi says. "When I heard this, it was overwhelming, actually. I said, 'Am I hallucinating? That's the greatest violin sound I've ever heard.' "
However, odds are it won't go to a musician, and that has some in the concert world worried. The asking price is almost twice the world record set in January, when a billionaire Russian collector bought a Guarneri for about $10 million. But Fushi says he's confident that he'll get his price. Fewer than a thousand Strads and Guarneris survive today. They're a safe investment; unlike gold, they're functional. And Fushi likes to point out that over the course of five decades, the Dow rose 1,400 percent, but rare violins appreciated 26,000 percent. That might be good for investors, but not for the musicians, says Joel Smirnoff, president of the Cleveland Institute of Music. "It’s kind of tough on the musicians," he says. "I would say that no one who enters the concert world today will have the resources to purchase a great instrument anymore." Fushi says he feels no guilt for pricing the Vieuxtemps too high for a musician to own. Great players, he says, will still get it under their chins. "There have always been very wealthy people to acquire these instruments and then let brilliant artists use them," Fushi says. As an example, there's the case of Giora Schmidt. His 1753 Giovanni Battista Guadanini was lent to him. "To own one is nearly impossible," Schmidt says. "Even in making a very successful career as a traveling concert artist." Schmidt says he worries every time the phone rings that the owner is calling to get his violin back. He's in the market now for a new one. "Unless an angel flies down from the sky, the instrument that I own will be something that is built by a contemporary living maker," he says. Yanbing Chen owns a workshop in Cleveland where he makes a few violins. But most of those he sells are made in Shanghai, where his family has another workshop. 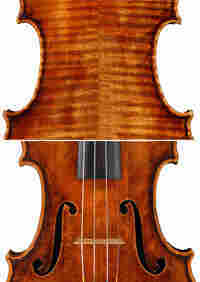 For a Yong Hai Shoo violin, the price is $4,000. 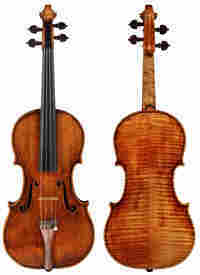 But a more typical price tag for violins he imports from China is about $500. "For the price, it's hard to compete," Chen says. "That’s why I would say 80 percent of the student market is Chinese instruments." Chinese factories turn out thousands of violins a year. Emmanuel Gradoux-Matt's Manhattan workshop produces about five. "I take one of these instruments that’s brought over here by their salespeople, and everybody in the workshop gets very depressed, because it's excellent work," he says. "The cost doesn't even cover us buying the wood here." Some would say it's silly for 300-year-old Guarneris and Strads to hang in collectors' display cases. Schmidt says he holds no resentment for collectors who would rather put the instruments on display, but he can understand why others would. "These instruments are meant to be played," he says. "If it's been sitting there in a closet for 50 years, the wood hasn't vibrated. The wood needs to vibrate." Smirnoff says he agrees that violins benefit from an acoustic massage. "Let's say an instrument hasn't been played for 40 or 50 years," he says. "It can be revived. It's kind of like Sleeping Beauty; you kiss the thing and, hey, it will come back to life. There's a lovely quality about an instrument which has been sitting. It's dancing with the wallflower, so to speak."